Are you ready to meet Skribble??? SKRIBBLE is a 3 ½ -year-old, 9-pound spayed female Domestic Shorthair. Our shelter staff has become very familiar with Skribble as this is her fifth time at IHS. She was originally surrendered as a stray in 2015 and has since been adopted and returned on four separate occasions. 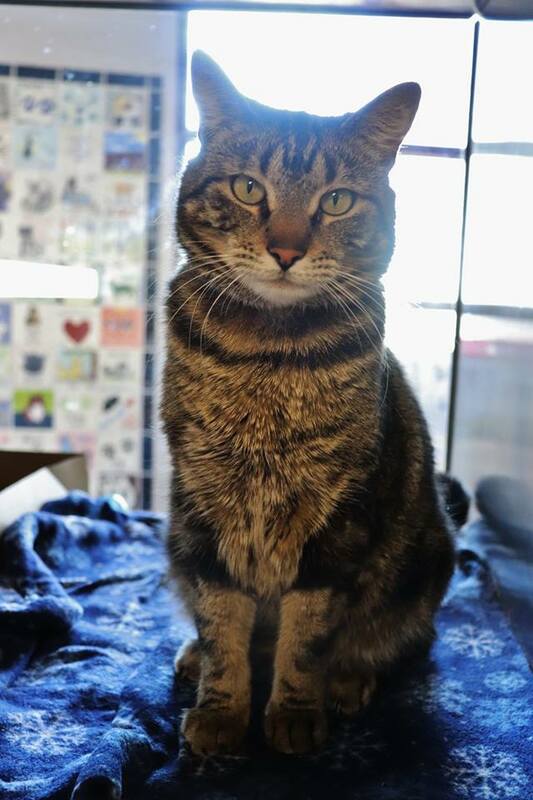 Skribble does not get along with other felines but other than that, we’re not sure why this affectionate kitty is having such a hard time finding a forever home. Skribble is a little stressed out in the shelter environment but gets along well with people so long as they are calm and gentle with her. She is easy-going, independent, and doesn’t mind being left alone for periods at a time; she will come looking for you when she wants attention! When she's in the mood for affection, she loves to snuggle on laps and give head bumps. Skribble would be a great pet for someone who has a busier lifestyle but is still looking for animal companionship. She will likely do best in a calmer household that will embrace her laid-back personality. Skribble (#29303764) is available for adoption in Cattery Kennel 01 at our shelter, 4775 Dorman St. We are open every day from 10am to 6pm. ... Having an animal in your life can give you stress relief & joy! ... In a word ... snuggles!